Joseph Mallozzi's Weblog: August 1, 2010: Sis’s birthday serenade! Foodly weekend happenings! And cosplay! August 1, 2010: Sis’s birthday serenade! Foodly weekend happenings! 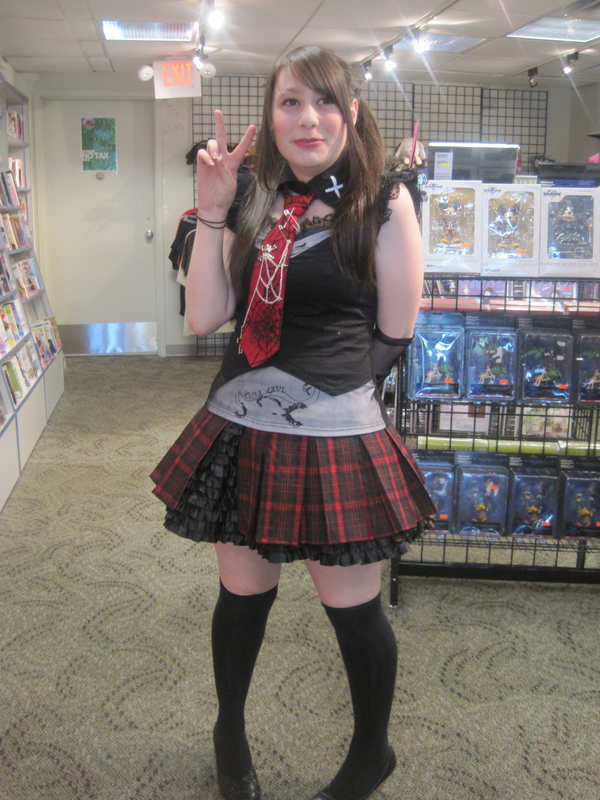 And cosplay! Happy Birthday to my sister Andria. I marked the occasion by phoning her up and singing Happy Birthday, complete with a stunning sixty second long final note that sent my dogs into full panic – after which I was informed she was going to lunch with a bunch of friends and had me on speaker phone the whole time. 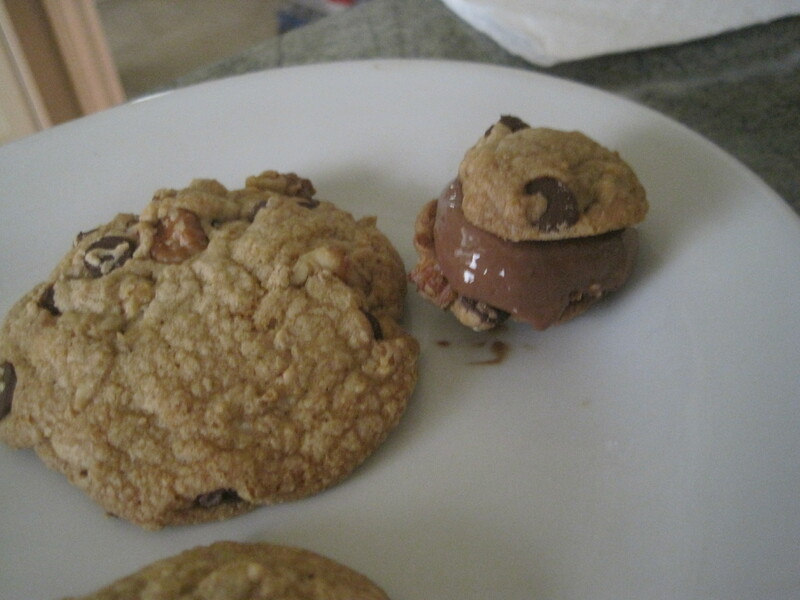 Akemi's breakfast: a mini ice cream sandwich. 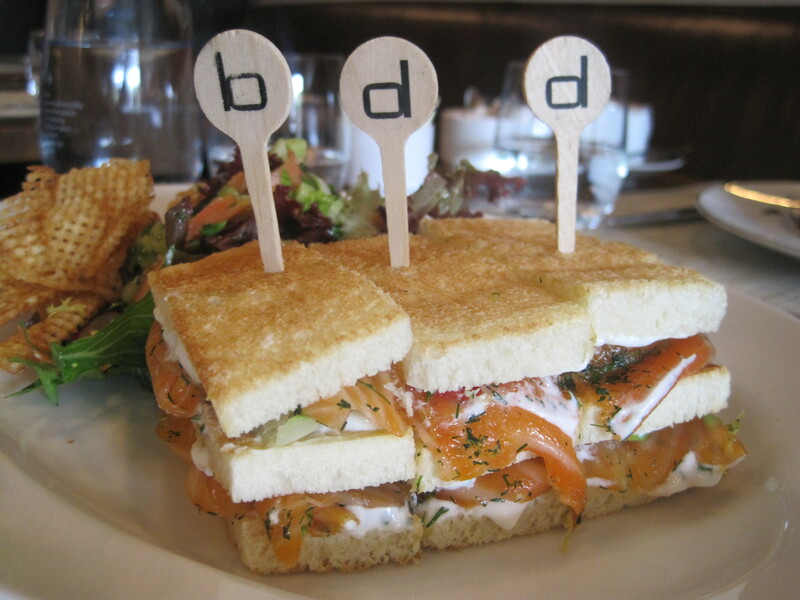 Smoked Salmon Club with avocado, tomato, lettuce, and chive crème fraiche. Yes, it tastes as good as it looks. 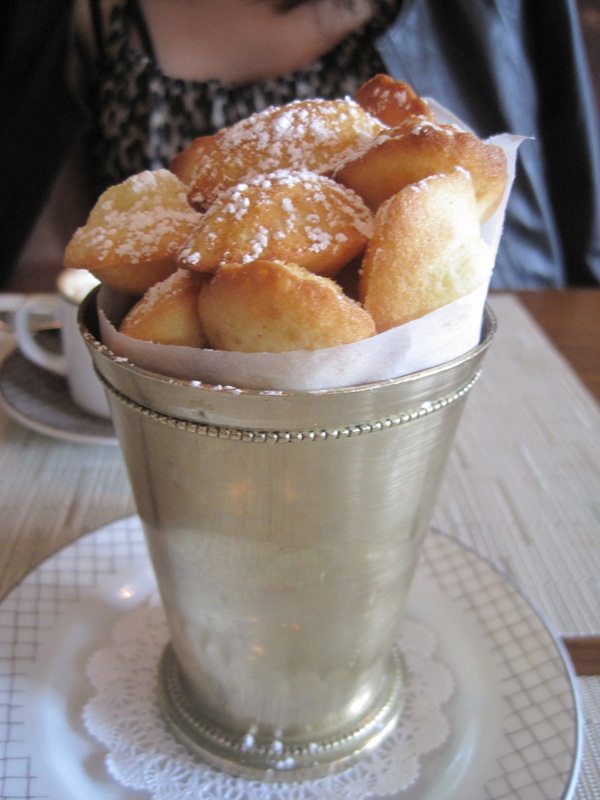 Warm Madeleines dusted with powdered sugar. Chris boxed up the leftovers and had them waiting for us as we headed out. From there, we headed out to the Japanese Street Festival going on down in Oppenheimer Park. After driving aimlessly around for some twenty minutes looking for parking, winding my way through drug addicts and drunks, it was decided we’d made the most of our outing and we headed home. 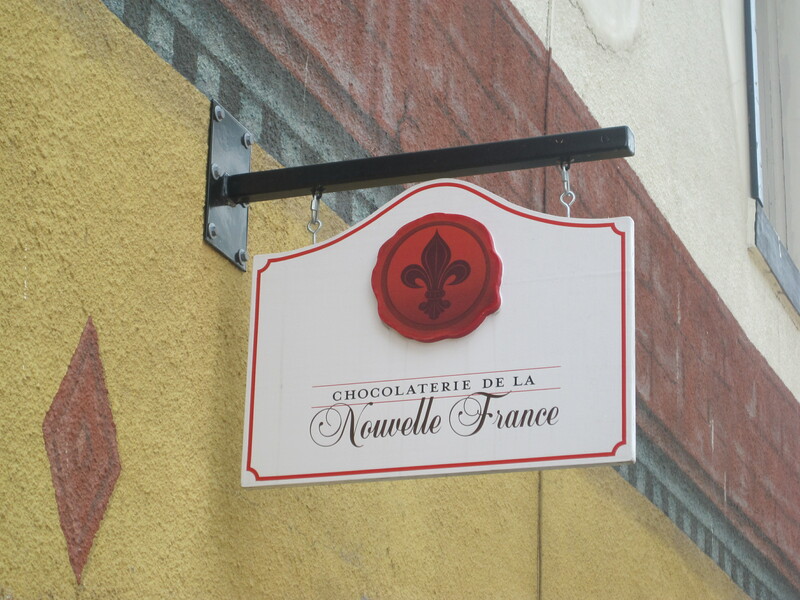 Like it says on the sign in the picture: Chocolaterie de la Nouvelle France. And what were we there for? With the untimely demise of Chocoatl, this has now become my go-to place for my chocolate fix. 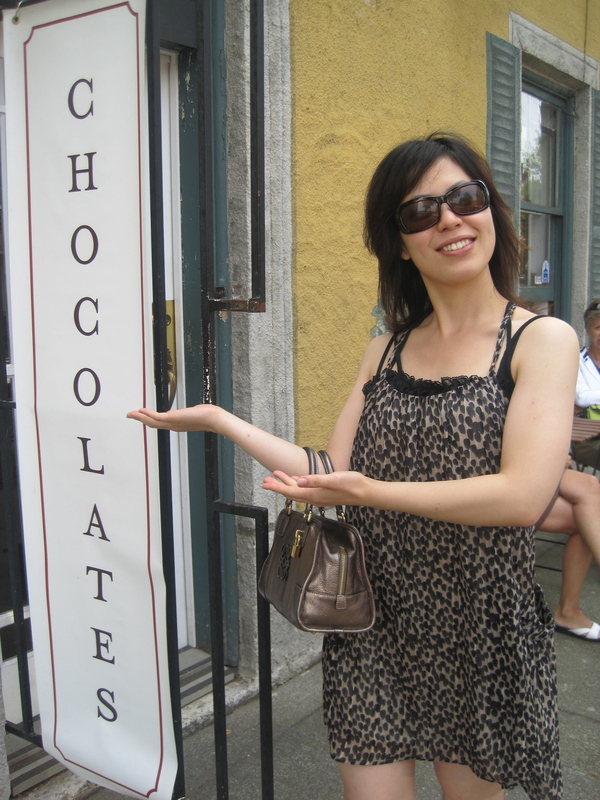 Owner Anne-Geneviève Poitras puts much love into her delectable little creations – well, love and cacao – and has, over time, built a discerning and loyal customer base. On this day, while I was waiting for the dark chocolate and sea salt tablettes to cool, about a half-dozen regulars came through, each one picking up “their usual” indulgences be they the delicate house truffles or the home made dark chocolate. Speaking of the truffles, Akemi had the Earl Grey and was mightily impressed by its elegance and flavor. 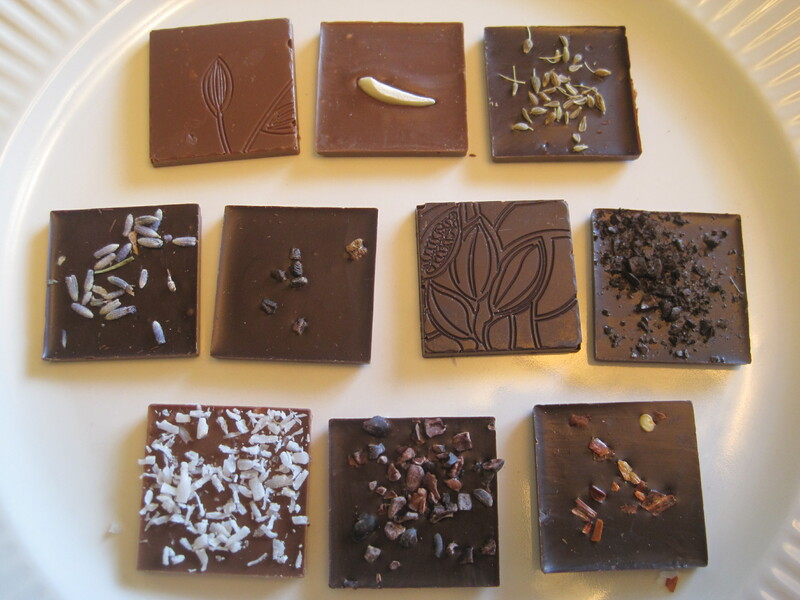 An assortment of chocolate squares including coconut, lavender, espresso, and sea salt. 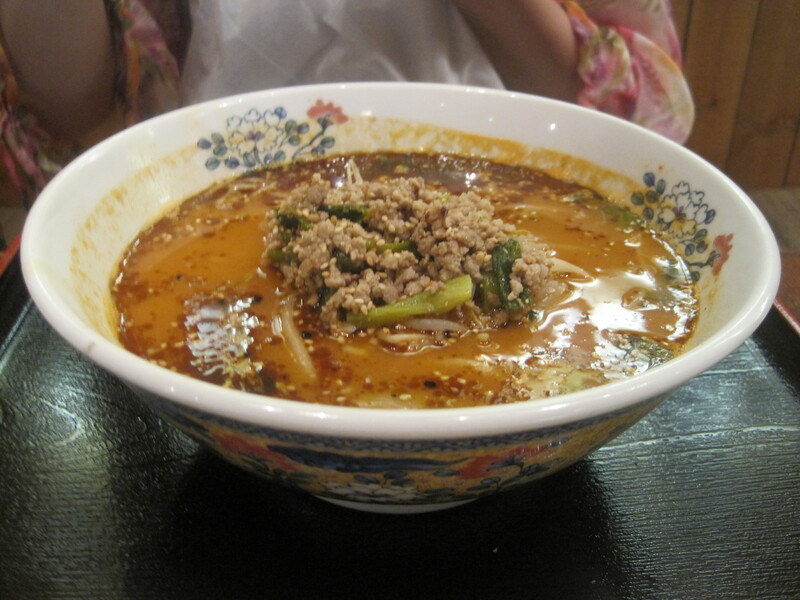 Today’s was a much more successful lunch outing than yesterday when we checked out local ramen-ya Benkei. Akemi - braced for serious splashback. I went with the spicy Akaoni - served with pan-fried minced pork, green onions, bean sprouts, bamboo shoots, toasted garlic oil, and roasted sesame. The ramen here was just alright, surprisingly lacking in the fuller flavor of many of its competitors (and, in this neighborhood, there are quite a few of them). The side order of chashu (pork) was rather dry and had me yearning for rival Santouka’s simmered pork jowl toroniku. Turns out it was Samantha modeling the new outfit she picked up at Parker Place. 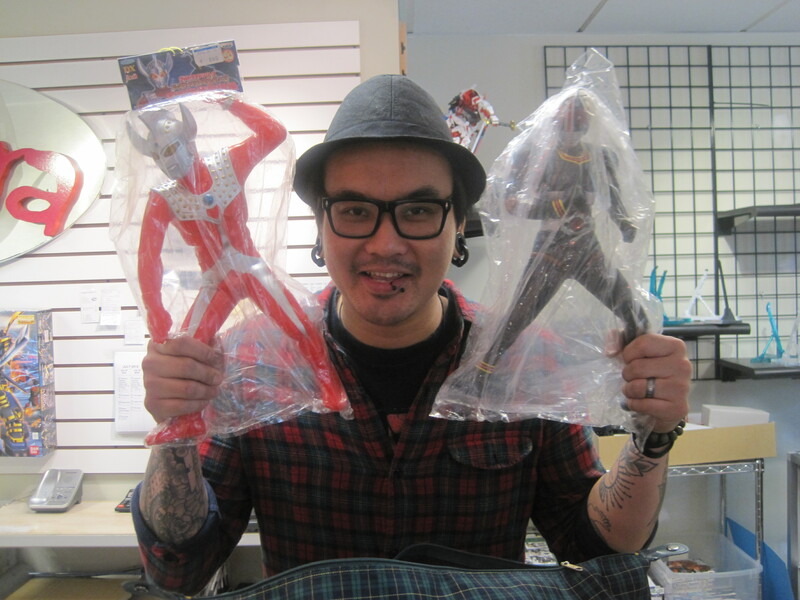 Owner Yu-Wei shows off incoming stock: Ultraman and Kamen Rider? Previous Article July 31, 2010: Locus weighs in on Masked! Yet another guilty pleasure! Bubba, cool and crazy! Mailbag! Next Article August 2, 2010: Masked musings! Upcoming guests! A Stargate: Universe season 2 tease of things to come! Stargate: Atlantis behind the scenes! And sundry others! Oh my, the chocolates would have been my ultimate downfall…not to mention the lemon Madeleines. Hahaha we do that every time we hafta sing happy birthday to a family member! And then we have two more verses to the birthday song too! Lol the entire thing lasts a good six minutes for us! Ice cream for breakfast, eh? Making good choices! 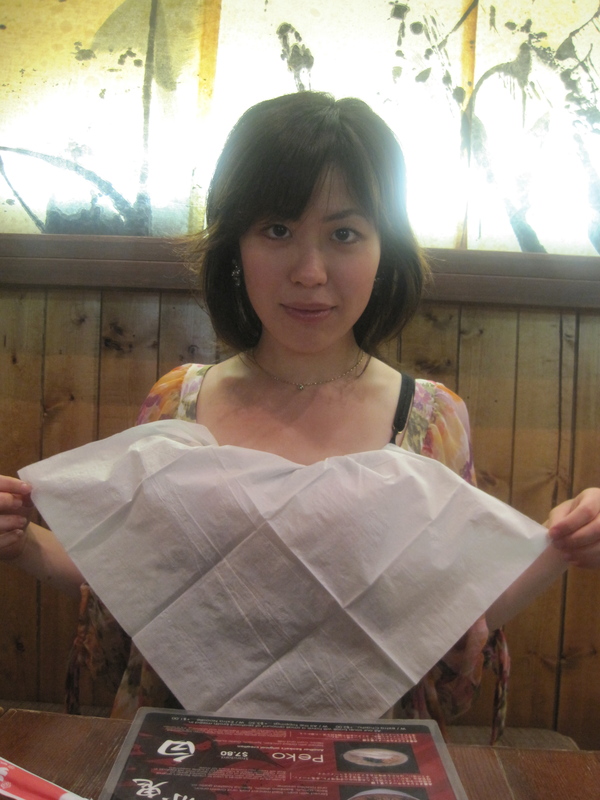 I think Akemi and I would get along perfectly, picky eater though I may be! Sounds like you and Akemi had a wonderfully relaxed and fun weekend. Happy Birthday to your sis, Andria! I’m spending my weekend nostalgically watching the entire Robotech series (I’m on ep 38). I must remember never to check your blog on an empty stomach. So, was I the only one who tried to sing Happy Birthday and attempt a minute-long final note like Joe did? I think I would’ve made it too if my mom didn’t call me to get dinner. @pg15 I would try to hold the note, but I’d wake up Patrick (it’s 2:20 a.m. here). @Joe: Happy Birthday to your sister. @Julie: That made me giggle about your mom. @JYS If I ever get back to Van, would you make a smoked salmon club salad or wrap for me? Can’t tolerate yeast so must avoid most breads. Too bad, as yours looks VERY yummy. Sourdough? Tonight, I cooled off with a pecan pie Blizzard from Dairy Queen in Karnes City. You know you’re in rural Texas when the only nighttime takeout is one DQ and two Tex-Mex restaurants. Birthday! Happy? A year closer to death I presume. Only when you are young you await birthdays. As you grow older they just fade away. Yay! Sis! I though she had disowned you, or something, Joe. Yay! Akemi doing something other than chores! Okay – you know what the side effect of eating a heavy Tex-Mex meal (chips, bean dip, pork tamales, beef enchiladas, chile rellenos, guac, and rice…and more beans ), with a little wine, and topping it all off with Godiva dark chocolate is? You fall into a coma about 10 pm, only to wake up in the middle of the night (with a bit of heartburn ), just in time to watch Captain Blood with Errol Flynn!!! YAY! Certainly not the first time I’ve seen it, but always a great sea romp! Okay – it’s now 4:30 and I’m wide awake. This is gonna be a looooong night, or a miserable morning, or a really bad Monday. Gonna try to get back to sleep…by watching Tales of Horror. Think it’ll work?? PS: NO. Watching Tales of Horror does NOT help one get to sleep. Woo! My last post was a virtual smiley-fest! This reminded me of something. The treaty of Versailles and the armistace of Compiegne(1918). Humans or Tok’ra or the Jaffa or ??? have not signed neither peace with the Ori nation or even armistace. I at least have not heard from such a thing. * The Milky Way Galaxy is still oficcially at war with the Ori nation. * Me as a greedy human would want some of those shiny Ori motherships for compensation for damages. I also would belive the Jaffa especially would want them, since they lost so many ships. Tok’ra-what are they going to do with them. And the Lucian Alliance. I think they are going to try to hijack one while the fleet is still puzzled and confused with what they found out in the Ark of Truth. There was an article in our local newspaper about the characteristics of pets. According to them pugs are anxious to please their owner. Are you under the impression this is true? Ugh. It’s after 5 am, and I’m still awake. I’ve decided to watch Hitchcock’s Shadow of a Doubt, a great little doppelganger tale and what I consider Hitch’s best work, if just for its subtlety alone. Every day that I read your blog, my local town looks more and more depressingly rubbish! .. and I’m hungry again! You two know how to live! The food looks incredible!!!! If Akemi can eat ice cream sandwiches for breakfast, she must have a cast iron stomach as well. I’m jealous! Das: I’m glad you are feeling better. My late best friend had the depressive side of bipolar. I don’t remember seeing her in a manic phase, paranoid but never manic. I spent many an hour listening to her talk through it. She had a lung embolism about six years ago and I really miss her. Her hubby married another woman with the same first name just weeks after she passed. Weird, huh? It freaks me out when I receive a Christmas card every year. Almost as if she is still alive. Sorry to babble. Headache today. Must be the three digit temps we having here in Mississippi. My youngest brother is in Boston and keeps bragging about the 70F weather there. Son’s bday today. Gotta go work on the cake. Dad’s cats are here, one is a cuddle bug. Now I have to get the boys and the girls to quit the hissy fits. Sigh, cats.